As 2015 comes galloping to close, it is time to reflect upon the year that was at Whisky Squad and preview another great year in 2016. In 2015 we ran 19 session, tasting a grand total of 115 whiskies. The growing diversity of the whisky world is reflected in the fact that the whiskies we sampled came from ten different countries, including drams from Switzerland and Slovakia! Of course, old faithful Scotland still dominates, with around 70% of our drams coming from whisky’s heartland. 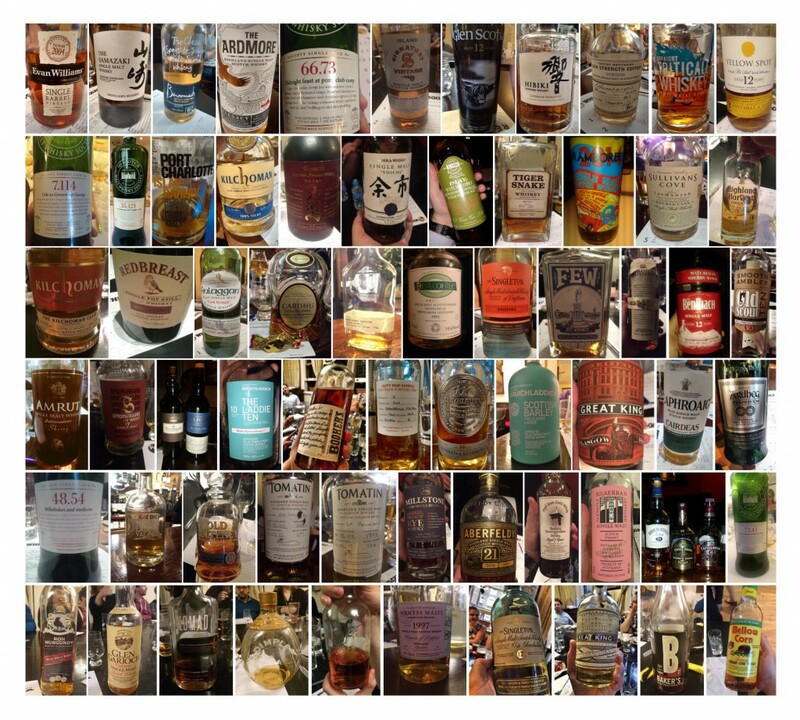 For a full run-down of the whiskies we tasted this year, head on over to our What We Tasted page. The drams are one thing, but Whisky Squad would be nothing without the people who attend the tastings. This year has seen over 100 individuals joining us for at least one session, and while we don’t keep figures on how many sessions everyone has been to (thankfully! ), we do know that we have had a healthy proportion of new people come along in 2015. Our continued success hinges as much upon these Whisky Squad newcomers as much as it does our regulars, so don’t forget to invite a mate in 2016. The whole of the Indoor Picnic Session – great food, great whisky and whiskey, and a top crew attending. An excellent session by Elise. The moment in the Island Hopping session when Whisky Squad veteran Dave(y) Haste turned to our table and said ‘This is definitely not Scapa’. It was Scapa. It was also very nice. Pouring the last dram for rye whiskey fan Elise at the “What? Really? !” session and asking her where it came from. It was a Dutch Rye whiskey, which fooled the entire room, including Elise, who now owns a couple of bottles. 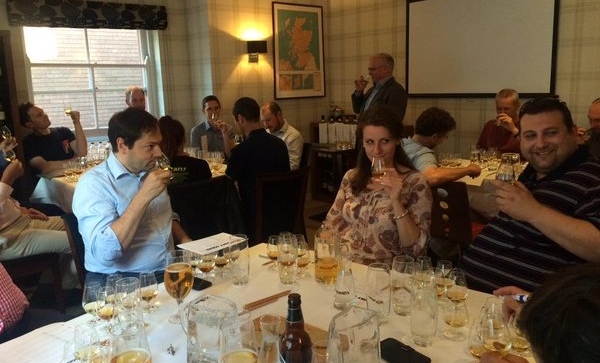 The moment during Rob Whitehead’s “Class of ’97” session where we realised that every whisky we were tasting that night was Clynelish – astonishingly, five whiskies into a session of six drams – only to discover that the sixth dram wasn’t from Clynelish! As for the whiskies themselves? Each year throws up a great list of stonkers and, inevitably, one or two stinkers. This year’s stand-outs included aforementioned raft of 1997 Clynelish from Berry Brothers & Rudd and another from the folks at Wemyss, the brash Millstone 2004 Single Cask Rye, the award winning new sherry cask 12 year old from Benriach and a pair of old and new Talisker Distillers Editions. I won’t name names on the drams that entered the Whisky Squad Hall of Shame, but tasting them is all part of the fun and we enjoy reminiscing about the drams that aren’t so great as much as we do the best. 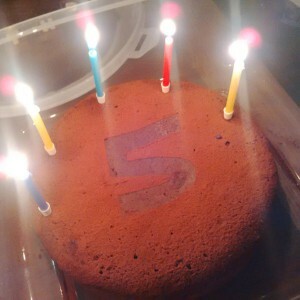 Without doubt, the biggest moment of 2015 was the celebration of Whisky Squad’s fifth birthday in April, doing so in style with a big shindig at the Finborough Arms. A packed out room tucked in to pizza, delicious cake (thanks to Kirsty Chant and Su-Lin Ong) and toasted our ongoing success with plenty of beers and few choice drams specially chosen for the occasion. In attendance were Squadders old and new – some had attended the very first session back in 2010, others had recently joined the fun. The night really typified what makes Whisky Squad so great; a room full of people sharing a passion for a spirit that truly brings them together. No pub in the world could match Whisky Squad for the diversity of the whiskies and the quality of the company (not to mention the prices of the drams!). I have been taking part in Whisky Squad for over four years now and I have lost count of the number of brilliant whiskies I have tasted that I wouldn’t have otherwise had the opportunity to try. I also have Whisky Squad to thank for many brilliant memories and for the opportunities to meet such great people, many of whom I now genuinely call friends. I even have Whisky Squad to thank for the opportunity to meet and get to know my now wife! I don’t doubt that there are many others that share similar sentiments to mine and if that is you, then I hope you continue to join us for another five years and beyond. 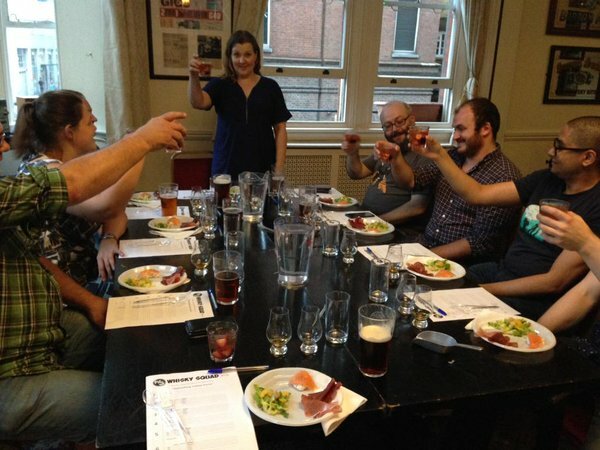 A full line up of whisky tastings – in the mix are a selection of our annual favourites, tastings with a couple of our favourite London whisky retailers, the return of the hugely popular Punter’s Choice and something a little cheesy. We’ll also be running our first premium session with some iconic whiskies to taste. We will be holding more social events at various establishments around the town. Keep your eyes peeled for all this and more in 2016. So that’s what we thought of the year and now we’d love to hear what you thought. Did you have any stand out drams or highlight moments? Which was your favourite session of the year? Do you have any session ideas or suggestions on how we could improve Whisky Squad in 2016? 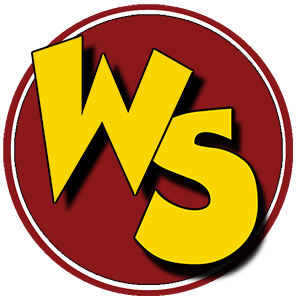 Please get in touch with us by leaving us a comment below, sending a tweet to @whiskysquad or sending me an email at joel@whiskysquad.com. All that is left for me to do is, on behalf of Jason, Billy, Elise and myself, wish you all a Merry Christmas and Happy New Year. I hope your festive season is full of tasty things and a at least a few good drams. Thanks for your ongoing support this year and we look forward to seeing you at Whisky Squad in 2016. Next post: New year, new Whisky Squad sessions!